Introducing Wild Delicate Seconds, a collection of 29 chance encounters with the everyday—and not so everyday—animals, birds, and insects of North America by High Desert Journal editor Charles Finn. 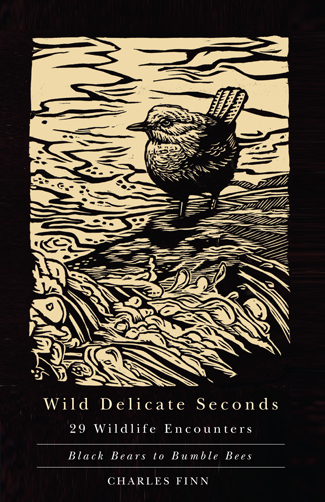 Gretel Erlich calls Wild Delicate Seconds "an exquisite read, full of small surprises with big heartbeats." We hope you enjoy this excerpt from the book. It was as great an act of faith as I will ever see. It was late summer, late afternoon, the sun already down and I sat on my front steps eating dinner. Looking up, I was just in time to see a family of four flying squirrels parachute across my yard, teetering against a backdrop of Beaujolais air. The squirrels fell on a steep angle from cedar to fir. They looked timid, shaky, steering with constant corrections as you do an old pickup with play in the wheel. They started from high up, falling as if to impale themselves on the branches below. No sooner did one land than another took off, spread-eagle, casting itself into the air. It was like watching a game of chance, or chase, each squirrel following the exact line picked out by the leader. At the end of each flight they would drop their back legs and sweep up, slapping belly first into the trunk of the tree. Did they hold their breath as they sailed? Shout a squirrel version of “Geronimo!” and let go? I don’t know, but square as kites they flew—stuntmen, stuntwomen—acrobats in a jungle gym world. When they landed they’d scamper straight up the tree, just a tiny clatter of claws and then some bark raining down. Then from the shadows they’d toss themselves into the air, trusting to those few tablespoons of wind cupped in their arms. I sat on my front porch transfixed, a forkful of pasta suspended halfway to my mouth, the glass of wine at my side untouched. No one ever tells us exactly how hard life is going to be—or how rewarding. The squirrels flew away, disappearing deeper and deeper into the forest. I was ready to let everything go. 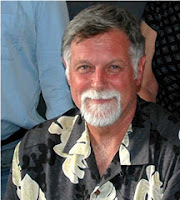 You can read Charles' recent thoughts on the writing life at the Northwest Book Lovers blog. Follow his own blog for new writings and adventures, and visit his website for more information. Charles will launch the book throughout May with readings in Montana and Oregon. Visit our calendar for complete details. 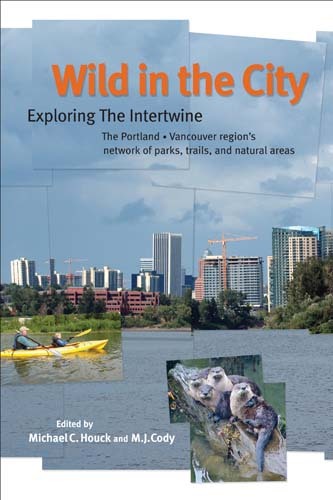 For the next four weeks, America's Wild Read is hosting a conversation inspired by Wild in the City: Exploring the Intertwine, The Portland-Vancouver Region's Network of Parks, Trails, and Natural Areas, copublished by OSU Press and The Audubon Society of Portland. MJ Cody leads the discussion during week one, sharing the creative team's desire to produce a city guide that was "more than a handbook to parks, trails, and natural spaces—a more literary tome full of personal stories and insights" that would inspire readers about "the riches surrounding us and the importance of not only being aware, but experiencing the joys of preserving, restoring, and celebrating nature in this singular place we call home." During week two, Mike Houck will discuss the Intertwine. 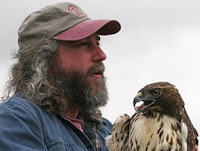 Bob Sallinger will focus on Living with Urban Wildlife during week three. To wrap things up during week four, Mike Houck and Bob Sallinger moderate a discussion of green infrastructure, ecosystem services, and the next frontier in integrating natural and built environments. American's Wild Read invites you to share your "wild in the city" stories. Visit the Wild Reads blog to participate in the lively conversation, ongoing through May 6. For more news, follow Wild Reads and Wild in the City on Facebook. The OSU Press mourns the loss of attorney, author, and cultural activist Brian Booth, who died of cancer at his home in Portland on March 7. Brian was an advocate for Oregon writers and a scholar of the state’s literary heritage. He founded the Oregon Institute of Literary Arts (now Literary Arts) in 1986, served as its President and Chair, and created the Oregon Book Awards and the Oregon Literary Fellowships. These programs recognize and financially encourage hundreds of Oregon writers and publishers. Novelist Don Berry called OILA “the only literary organization I know actually founded by a reader.” Among its founding board members were Raymond Carver, Ursula Le Guin, and William Stafford. Brian later co-founded the Oregon Cultural Heritage Commission, which celebrates Oregon’s diverse literary and cultural legacy through public events, memorials, and publications. In 1992, Brian edited Wildmen, Wobblies, and Whistle Punks: Stewart Holbrook’s Lowbrow Northwest, now in its eighth printing. Chosen by Portland Magazine as “One of the 20 Greatest Oregon Books Ever” and by The Oregonian as one of the top ten Northwest history books, Wildmen helped revive interest in Holbrook and his “lowbrow or non-stuffed shirt” view of history. The book also sparked renewed interest in Holbrook’s fictive alter ego, the satirical painter Mr. Otis, founder of the Primitive-Moderne School of Art. Brian’s publication of Davis Country: H.L. 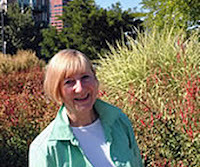 Davis’s Northwest with co-editor Glen Love in 2009 revived another quintessential Oregon author. A Celebration of Life Memorial Service is scheduled for Thursday, April 12, 2012, at 4 p.m. at the First Congregational United Church of Christ, 1126 SW Park Avenue, Portland. A reception at the Portland Art Museum will follow. Read Steve Duin's tribute to Brian in the Oregonian. 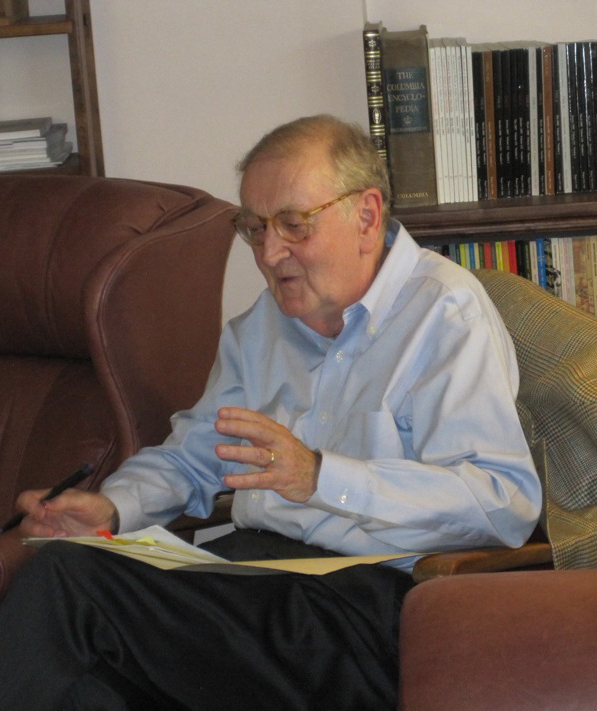 Read about Brian's work with the Himes & Duniway Society.